The 2018 Winter Olympics are well underway in Pyeongchang, South Korea, but excitement about the games is continuing to grow here in Canada (thanks hockey!). As of Feb. 16, Canada was sitting in fourth place in the rankings with four gold, five silver, and four bronze medals, and it has been predicted that the nation will win many more. According to the Canadian Press, Canada could walk away with as many as 29 medals during the Winter Games. Gracenote, an international data analytics company, first predicted that Canada would win 33 medals, but have recently lowered that figure to 28. If either of these predictions are true, this would be Canada’s highest medal showing at the Winter Olympics. Currently, our record is 26, won at the 2010 Winter Olympics in Vancouver. The 2010 Winter Olympics created a huge wave of national pride in Canada that has seldom been felt before, starting with freestyle skier Alexandre Bilodeau becoming the first Canadian to win gold on home soil. Maëlle Ricker quickly followed by winning gold for snowboard cross, becoming the first Canadian female athlete to win at home. This eventually led to a 14 gold medal count for Canada, which is currently the record for most gold medals won at an Olympic event. It also marked the first time since 1952 that the hosting country led the gold medal count. Canadian pride from those games is still felt today, as the country continues to develop into a serious contender in the 2018 Winter Olympics. 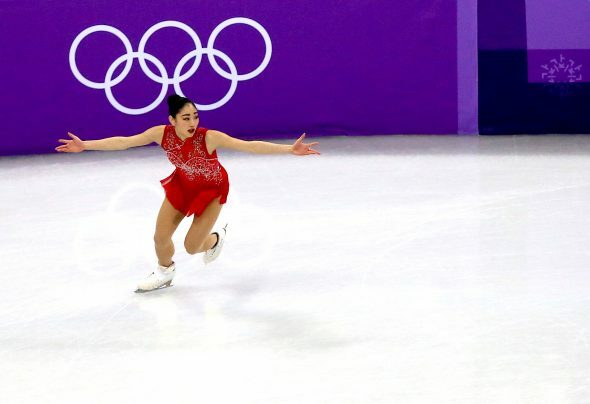 Each Winter Olympics seems to have a number of new firsts, and this year is no different. For Canada, 25-year-old Brigette Lacquette, a member of the Cote First Nations, is spearheading one of these milestones. Lacquette is a defense hockey player who will be competing in the 2018 Winter Olympics on Team Canada. By doing so, she will be the first Indigenous hockey player to play on the women’s Olympic hockey team. Other countries are also breaking new ground. South Korea and North Korea will be competing under a unified flag for the first time at the Olympic games, which could have possible political implications for the two countries. Nigeria is being represented in women’s bobsled for the first time. The most important thing about these firsts is that they send a message. Sports aren’t just about competition, they unite us, break down borders, and provide assurance that we can connect regardless of our differences. Sports challenge us. For athletes, they push us to break boundaries and that we shouldn’t be afraid to do something or be different. Sports inspire us not only to do better, but to be better.